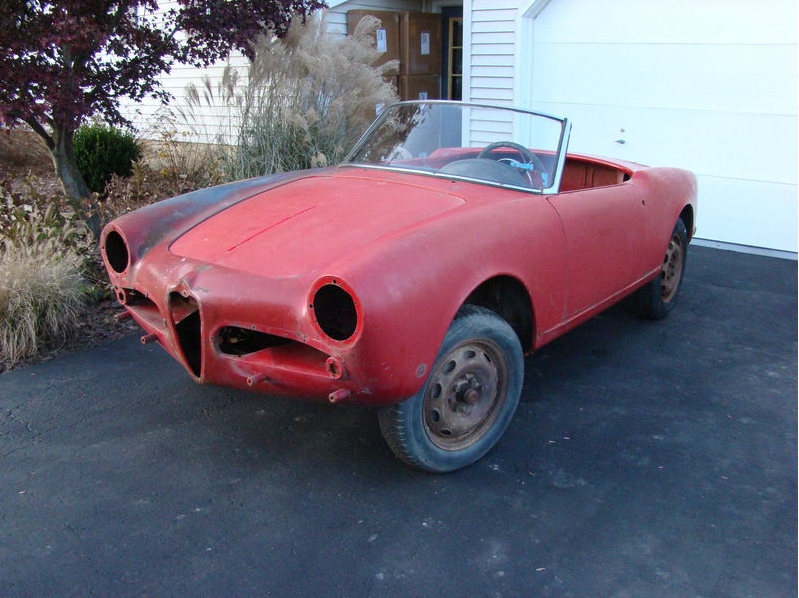 Market 382: Spider 1600 10123 379587 -true barn find! Update 2/24/12: Sold for $8101. Not bad money for this car. Will be interesting to see if anyone is public about buying this car and shares their fixing it up story. 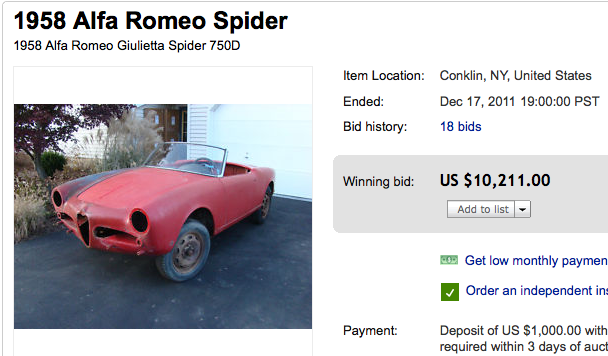 Update 2/16/12: This car was listed on BringaTrailer resulting in the Buy it Now price being removed from the auction, then, when most of the commenters gave it a thumbs down the auction stalled. Remember gentle reader -there are at this moment a lot of guys (and some gals I’m sure) out there toiling away on worse cars than this of all nationality and desirability (car and owner alike I suppose…) -this car resurrection business we are all contemplating is a crazy pursuit -but what else are we to do with our time? At least it’s a tangible object and requires learning, skill development and resourcefulness to see through. 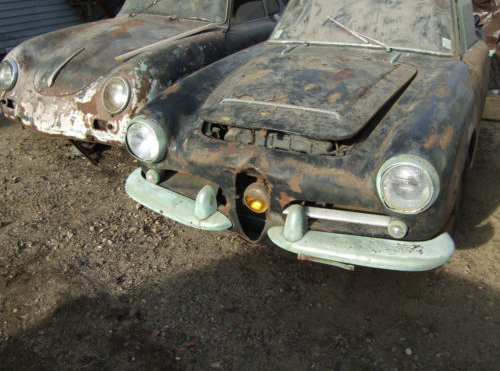 A failed restoration is not wholly a failure -just the car never got done. 2/10/12: Giulia Spider 1600 10123*379587, 00112*45195. This car is available now on eBay out of Connecticut, where it was just awakened from a 40 or so year sleep in a not so well insulated barn. Car is rough -as should be expected, but it’s a Spider, it’s complete looking and it’s not much money. I know some will say it’s a losing proposition if it’s free, but it takes a few owners to carry it along to the viable point sometimes, and this car is far enough away from that edge that it will happen. Look at this pair -you could take my idea to just make some POS work and drive it around to a new level and have both these guys -the coupe and the convertible. They look like they were just released from some ordeal they weathered together -would be a shame to break them up. Dig the fog light in the grill -might start a new fad. Update 12/25/11: 33 bids resulted in a sale price of $30,101. Update 12/20/11: Oops, just added a link to the auction and Flickr photo set. 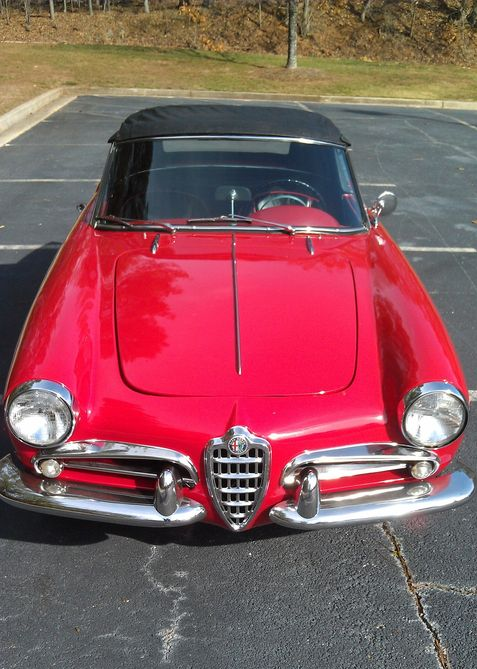 Giulietta Spider 10103*370548. 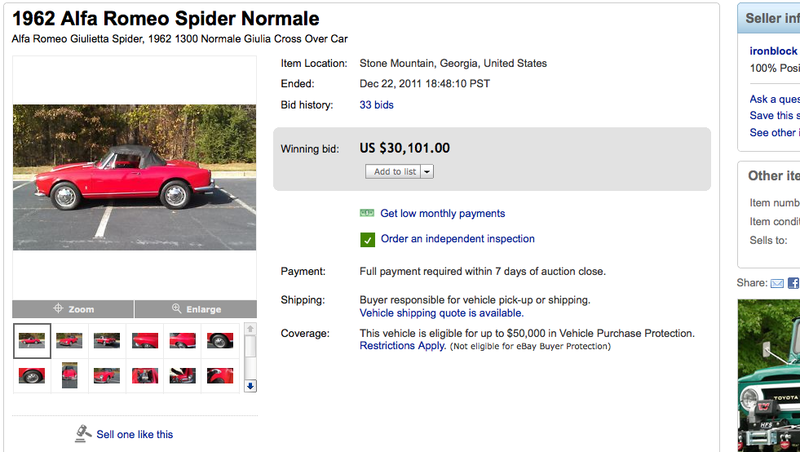 This car is on eBay right now out of Georgia. Seller is a long time AROC member who restored the car in about 1990. It is in good condition cosmetically and is a turn key driver. No waiting for shops to get work done with this one -just fuel it up and cruise. Update 12/20/11: 18 bids, $10,211, Sold! Such a deal, one of the better I’ve seen. Giulietta Spider 750D 1495*03719, 1315*43479. This car is on eBay right now out of Conklin, NY. It’s the most apart of the Spiders I’ve posted the last few days, but it looks to be the most solid and straight-forward of the lot to build. The reason it is so apart is it was underwater during a flood in 2006. Seller is very forthwith about this and the condition of each assembly and how it has been affected. Body looks very good as a place to start. Wheels are Borrani’s. I always wondered what happened when classic cars got flooded.